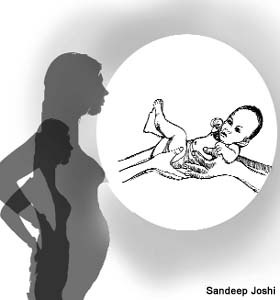 Surrogate Mothers: Womb for Rent in India . Homesurrogate mothers in IndiaSurrogate Mothers: Womb for Rent in India . Eight months pregnant, Reshma is like any other expecting mother, except that the child she's carrying isn't her own. When Reshma gives birth next month in this small Indian town, the newborn will be immediately handed over to its biological parents, non-resident Indians who live in London and who have been unable to bear a child on their own. 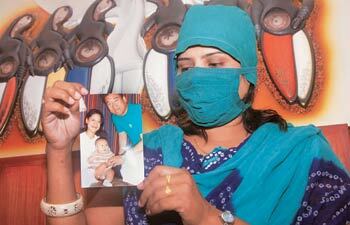 In return for renting her womb, Reshma will be paid $2,800 - a significant sum by Indian standards. "I have two cherubic children of my own," says Reshma, who withheld her real name for fear of disapproval by neighbors. "That couple has none. Imagine how much happiness this baby will give them." A year ago, the couple flew down from London to this dusty, unremarkable town to choose a surrogate mother. They are part of a growing number of childless foreigners beating a track to India, drawn here for many of the same reasons that have made India a top destination for medical tourism: low costs, highly-qualified doctors, and a more relaxed legal atmosphere. classifieds and inquiries at clinics. But hard numbers remains elusive, partly because the practice is defused among small towns like Anand, where the lure of money is stronger than in wealthier cities. The extent of the practice in the US is similarly unclear. One 1989 estimate by the Detroit News said that $33 million had been spent over the decade for surrogates. A 1992 estimate calculated that as many as 4,000 babies have been born to surrogate mothers in the US. The cost differences are clear-cut, however. In the US, surrogate mothers are typically paid $15,000, and agencies claim another $30,000. In India, the entire costs range from $2,500 to $6,500. Dr. Nayna Patel, director of Anand's Kaival Hospital, cautions against seeing the trend in financially exploitative terms. "This is not the same thing as donating a kidney [for money].... A nine-month pregnancy can never be forced," she says. "Beyond the commercial angle, having a child is a deeply emotional issue." She cites dozens of cases of couples that have spent a small fortune on failed in-vitro fertilizations or experienced repeated miscarriages and have had no option but to turn to surrogacy. Their search put them in touch with several interested Indian mothers. Now the couple has started a website to help link up prospective parents and surrogate mothers from India. It's a view that resonates with fertility specialists like Dr. Patel: "Many surrogate mothers see this not as 'handing over' the baby, but as 'handing back' the baby, as the baby was never theirs to keep." 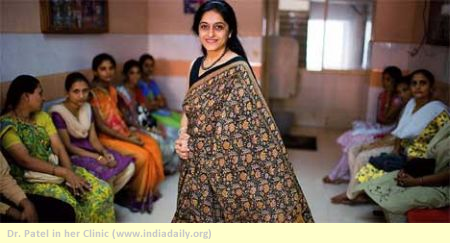 Anand's Kaival Hospital has up to 20 surrogate mothers. 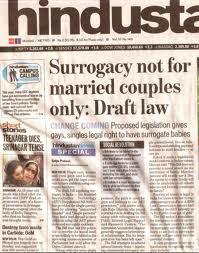 In the last two years since surrogacy began here, six babies have been delivered and two more are on the way. Some 75 percent of the clients are non-resident Indians from the UK, the US, Japan, and Southeast Asia. Each day, dozens of inquiries from India and abroad inundate the clinic. Parents and prospective surrogates are carefully screened and counseled by the clinic, and both parties must sign an elaborate legal contract that signs over the surrogate mother's rights to the baby and underlines the financial terms. Although all surrogates interviewed said that they would not get attached to the baby since they took up surrogacy for altruistic reasons, money does seem to be a motivator. "How else will us uneducated women earn this kind of money, without doing anything immoral?" asks one of the surrogate mothers at the Kaival Hospital. Reshma's husband Vinod - not his real name - says his paltry $50 montly pay as a painter would not be enough to educate his two children. He says the extra money will allow him to invest in his children's education and to buy a new home. But surrogacy is yet to be widely accepted here. For the past six months, Reshma and Vinod have been living in a neighboring village to keep the pregnancy a secret. "Otherwise, we'll be treated like social pariahs," he says. "This isn't a respectable thing to do in our society." Nor is it entirely accepted in other parts of the globe. Movements to allow for surrogate motherhood have been rejected by voters in places like Sweden, Spain, France, and Germany. Other nations that do allow it, including South Africa, the UK, and Argentina, employ independent ethics committees to evaluate surrogacy requests on a case-by-case basis. "After IT services it seems it's now the turn of babies to be outsourced from India," says Manish Mehta, a reporter from Associated Press Television who is shooting a film on surrogate mothers.